Provence-Mediterranean offers a restaurant welcoming around 100 guests and a minimarket / fresh bread shop. You can enjoy savouring breakfast at our friendly, family-style restaurant, or take away your fresh bread and croissants, along with the local paper Var Matin. You can opt for a snack menu at lunchtime, or our “Dish of the Day”, together with a choice of salads and roasts. If you want to make the most of your day, simply opt for a takeway! Ice creams and cold drinks are served every afternoon on the terrace next to the heated pool and water park! Dinner guests can enjoy eating à la carte or sampling a delicious, wood-fired pizza hot out of the oven! Takeaway dishes and pizzas are always available if you want to spend an evening in. Our chef prides in his home-made dishes! 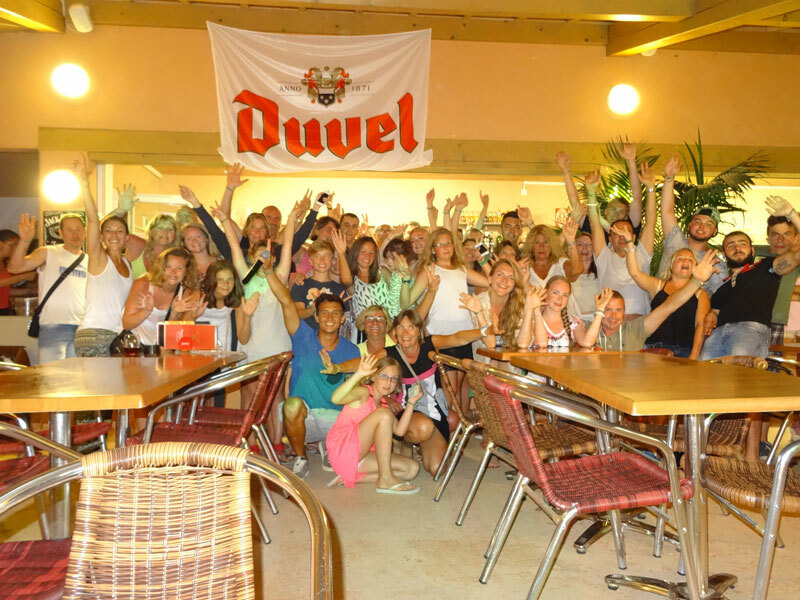 You will also enjoy our regular dinner events and shows, starring typical dishes such as barbecues, mussels and fries, paella, couscous, etc. High chairs, booster seats and colourful utensils (plates, glasses, bowls and cutlery) just right for little hands are available for children lunching or dining at the restaurant. You can pay with cash or credit cards at the restaurant.